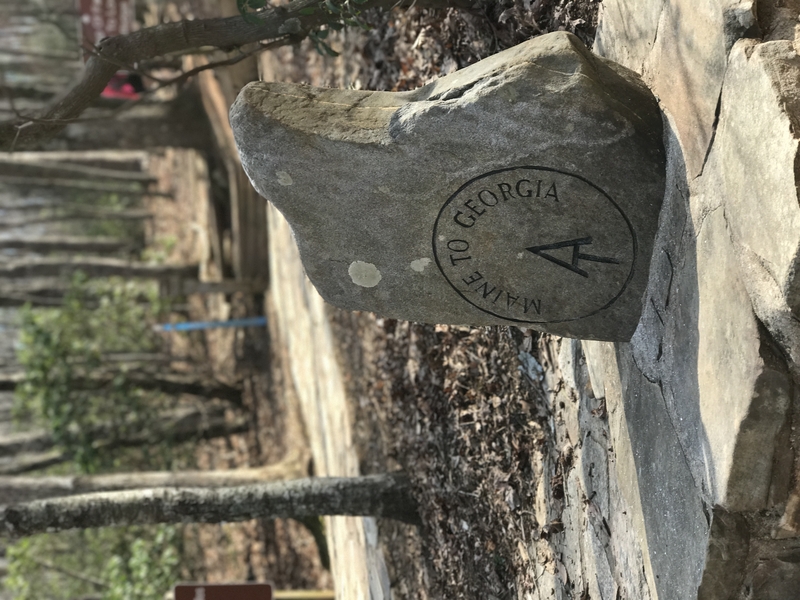 Sitting here in my motel room in Hiawassee, GA, reflecting on the first week of my hike. 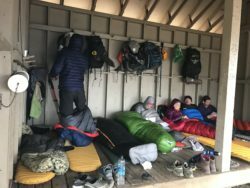 Snow, rain, cold, and wind; my initial six days on the AT have been testing to say the least. However, the harsh conditions have done all but dull my spirits. I’ve gained new perspective, enjoyed new experiences, laughed to the point of tears, and formed bonds with numerous people of all ages and walks of life. All sorts of people are doing this. 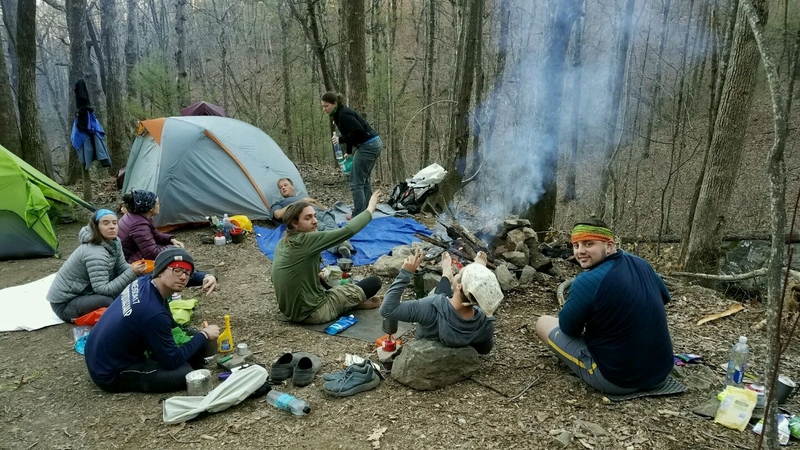 Combat veterans, high-school and college graduates, retirees, and people just opting out of their 9-5 combine to form a tight-knit community of like-minded hikers that operate on positivity, teamwork, and most importantly a passion for thru-hiking. One goal, one purpose. In only a week, I’ve already been exposed to the connectedness and good vibrations that resonate throughout these mountains. 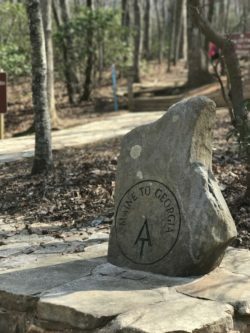 Several times along this approach hike I thought, “what have I gotten myself into…” Reaching the top of Springer Mountain was a special moment as I spotted my first white blaze and a plaque standing as the official southern terminus of the Appalachian Trail. 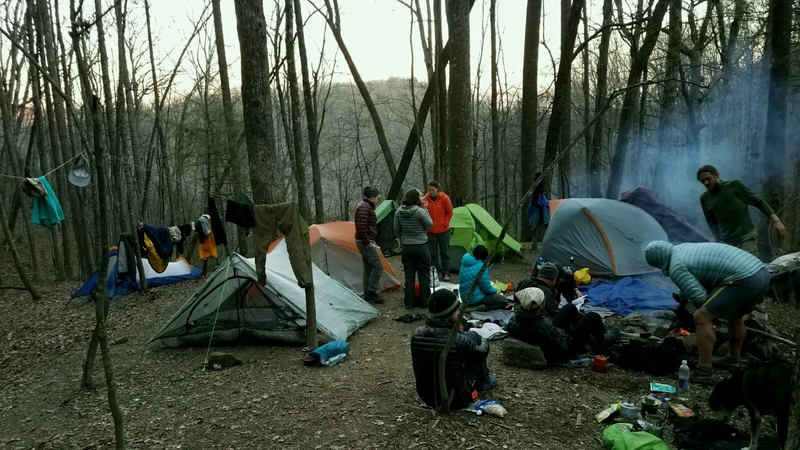 I set up camp and met some other thru-hikers (most of whom I’m still hiking with), anticipating the trek in front of me while realizing the magnitude of what’s to come. It was an easy day of hiking; warm, sunny, and short. Myself, along with Peanut and Soco, did about 8 miles and set up an early camp after lunch. That night, we were joined by three more hikers (Pockets, Firefly, and 2.0) for dinner around a fire. On this day, things got a bit more interesting. My hiking group woke up early and got on the trail quickly in order to beat the incoming rain. Most of the day, we were hiking through dense fog; it was cold and wet, but we made it to the shelter before the bottom really fell out. 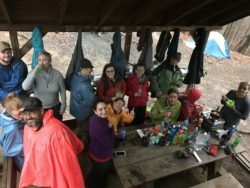 It would have been a chill afternoon under cover from the storm at Gooch Gap Shelter, but we got word of a little trail magic about 3/4mi down-trail. It was pouring, but why not? One of the most charming aspects of this experience is the ambiguity and spontaneity of it! We went for it. Myself, along with Peanut, 2.0 and Pockets got down to the gap to find an old camper van inhabited by a couple, two former thru-hikers who were there providing pancakes, ramen, coffee, and snacks to hungry hikers. We exchanged stories and laughs, distracting ourselves from the conditions outside. It’s little moments like that turn all your bad feelings into good feelings! P.S. that night, I was given the trail name “Jetpack” when a fellow hiker noticed my ultralight pack looked like a jetpack when I sped past her on the trail earlier that day. A bright and sunny day! Temps around 60 degrees provided for a smooth and relaxed hike to Lance Creek. The only spot open was crowded with about 6 tents, where we built a fire and passed around Iceberg’s backpacker guitar. Another memorable night in the woods. A short day with a little resupply stop at Mountain Crossings @ Neel’s Gap! 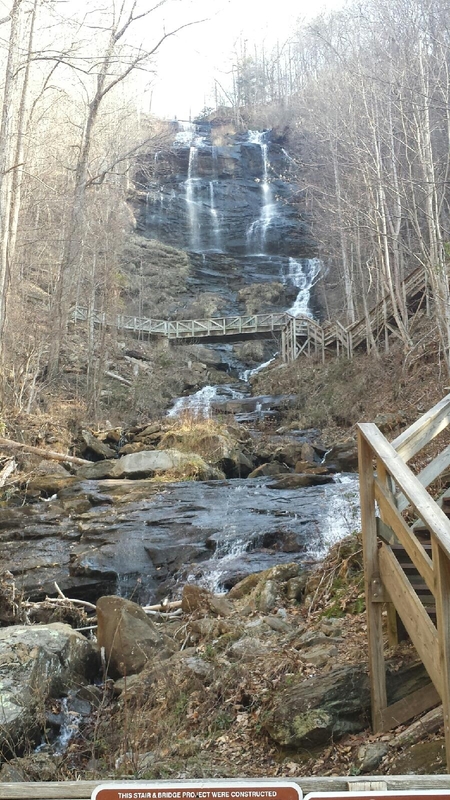 Hiked about a mile past the outfitter to reach Bull Gap. That night, a huge storm rolled in with 30 mph winds and lightning strikes that seemed like they were just feet from me. However, the ol’ trusty tent held fast and I stayed bone dry! Nothing new here. It was my first night to stay in a shelter, though! It was interesting…lots of snores and farts. I’m going to try to avoid staying in shelters at all costs throughout my hike. This was by far the coldest day I’ve experienced. My energy was low, I was lagging behind the group, and was more than ready for a town day a.k.a. “zero day.” I stayed in the shelter again and stuck to my down quilt all afternoon in an attempt to evade the cold. With lows of around 25 degrees, I was a bit chilly but all I could think about was my excitement to get to town. The next morning, we did a short morning hike through the snow into Unicoi Gap and caught the early shuttle into Hiawassee, GA.
It’s night two in this charming little mountain town, and I can’t wait to get back out there. Well rested, full and clean, I will head back to Unicoi Gap early in the morning and plan to reach Franklin, NC by Saturday. Thanks for tuning in, I will keep you updated! Good daily summaries with all the positive attitude, what’s not to like. Stay safe, stay warm. Congrats on your hike so far. It is hard to put into words the pride and excitement I’m feel for you my son…as for the snores and farts…well now you know how your mother and I feel when you are home! I love your positive attitude. 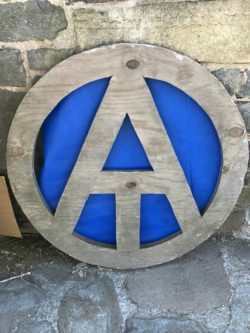 I’ll begin my SOBO hike of the lower half of the trail in July, and I hope I can inspire others to “keep on keepin’ on”, just as you have. And I can totally understand your dad’s pride. My adult daughter’s going to join me for 2 days in the Smokies, and I couldn’t be more pleased. She’s totally stepping out of her comfort zone,,which is probably true for you too (and 95% of the AT hikers! ).